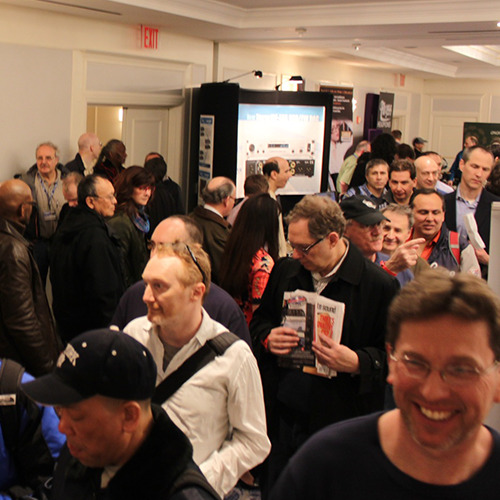 Interested in Exhibiting at Vancouver Audio Show 2016? If you need any further information or assistance please contact one of our team members. We're here to help! We proved beyond any doubt that this is the show Vancouver has been waiting for, for a long time, because it attracted a most discerning and quality attendance in 2015. These types of show are unique around the world and few opportunities now exist for a brand new launch such as this was. The show is for buyers with a discerning ear who relish top quality audio, however in this very modern technological age they chose to enjoy it. VAS'15 was designed from scratch to appeal to all age groups and enthusiasts and provide the environment for the highest quality presentations and experience, and we achieved that via our unique marketing, Don’t miss this opportunity to tap into this amazing market and open up new business opportunities for your companies products or services. Space and rooms were limited in our first year, and we will add a few more in 2016 but only as many to ensure a quick sell-out, with sizes and locations to please most exhibitors. This approach ensures we can start marketing much earlier this ensuring greater overall show success for all concerned. We have plenty of opportunities for exhibitors, advertisers and sponsors. Chester Group shows are designed and developed to be places of entertainment that provide visitors with the environment to enjoy and excite while considering their purchasing options - “Sample the real deal before you buy”. Reach potential buyers with a discerning ear who relish top quality audio however they choose to enjoy it. Demonstrate your gear in front of a diverse and quality audience, and provide the environment for the highest quality presentations and listening experience. Boost the awareness of your brand in this exclusive market by using the power of the Vancouver Audio Shows official show guide. Free to all show visitors on the day and sent to our email mailing subscribers prior to the show, our top quality guide is a great reference. Make your company known to this highly targeted and qualified audience. With thousands of audio enthusiasts attending yearly, this really is the perfect launching pad for any new products. Exhibiting is open to all; including manufacturers, distributors, retailers, agents and importers. This makes for the perfect networking opportunity to find new business. All business is done on a first come first served basis and selling from the show is actively encouraged, whether our exhibitors are dealing with the public or the trade this venue has something to offer every relationship. Shows have never been more popular and with that, we are also seeing not only new, but a younger level of footfall taking an interest in the joy of high performance audio, and the quite amazing depth of quality over and above the more portable systems. As organisers, we're not in the business of shows for show’s sake; our goal is the long-term survival and growth of this unique and prestigious market, that needs fresh, high quality and direct exposure. Rest assured Chester Group will support the ‘Headline Act’ - you the exhibitor – along with the venue, the stage and the marketing/promotion package to enable you to deliver your best performance. The Vancouver Audio Show will be returning to the Hilton Vancouver Metrotown, taking place from the 24th – 26th June 2016. Our original choice of venue received such a great experience overall it really wasn’t a difficult decision. Simon Fraser University and in BC’s high-tech sector. Vancouver Sky Train is only yards away, ensuring the attractions and businesses of downtown Vancouver are within easy reach. If the attractions of the Vancouver Show are enough for you there is the innovative Reflect social dining + lounge, which is the ideal place to catch up with friends or colleagues. 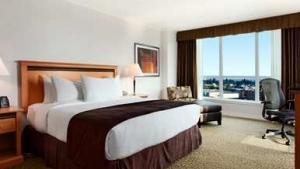 This Metrotown restaurant serves an excellent Hilton Breakfast in the morning and provides a sophisticated menu of fusion cuisine throughout the day. Copyright © 2019 Chester GRP Exhibitions (CANADA) Ltd. All rights reserved.